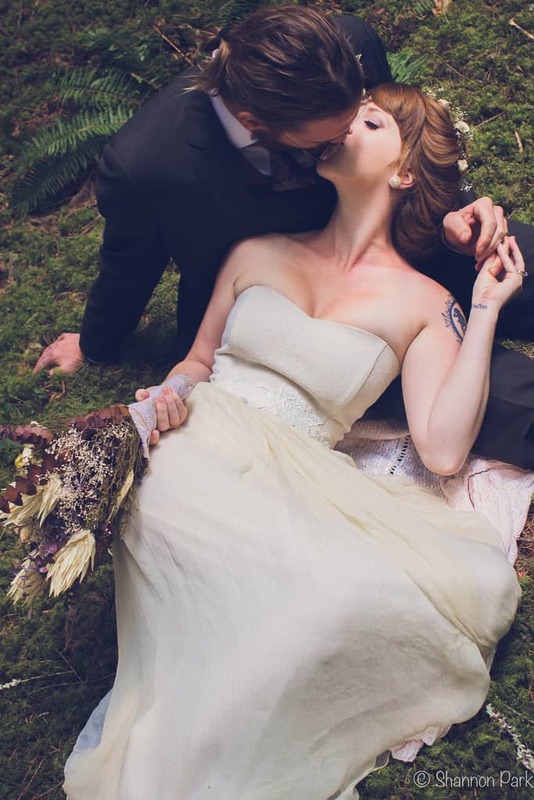 This bride is straight out of faerie land… with her auburn braids, and peachy complexion creating a beautiful contrast with her edgy tattoos! 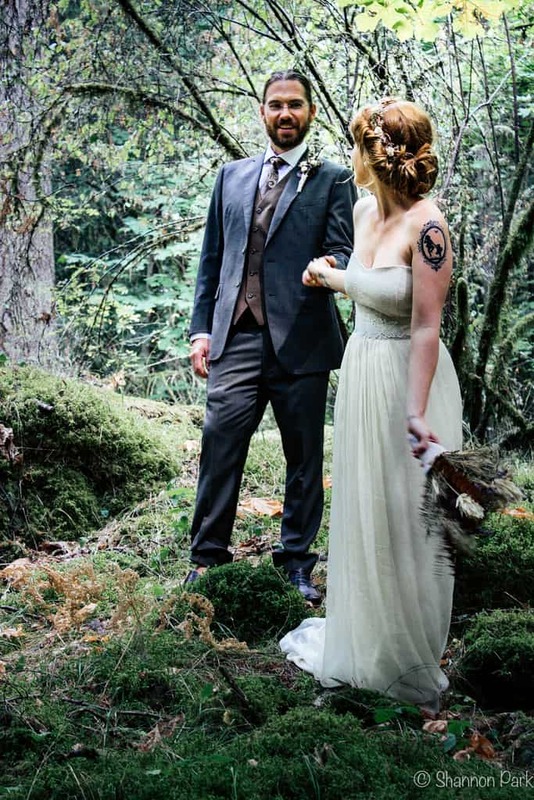 She chose the Tilia wedding dress, and added a lace sash at the waist for more details. And how gorgeous is that bouquet? !